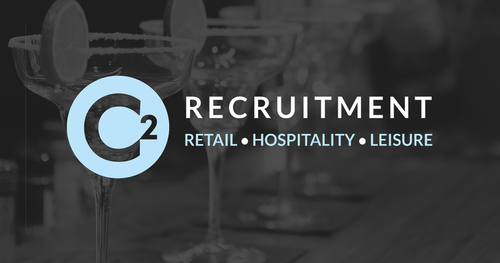 C2 Recruitment is committed to offering the very best in Retail, Hospitality and Leisure Recruitment solutions. We offer a unique and flexible approach to your business working in partnership with you and your teams to deliver a professional high-quality service that can be relied upon time and time again. 360 Recruitment Package – Our Full Recruitment Service including Full Candidate Management & Attraction Service with Headhunting included. No placement no fee for total piece of mind. Online Advertising Package – Let us advertise your vacancies for you with our full online response management service. A perfect way to promote your vacancies on the UK’s leading job boards for one fixed fee. We can even brand your adverts with your company logo! Database Search Package – A targeted full database search solution with exposure to over 20 Million active job seekers. Hire as many candidates as you like all for a ‘one off’ fixed fee. Retained Service Package – We can support your current recruitment process combining multiple assignments into one monthly fee. Particularly effective for new store openings or specific recruitment projects over 3, 6 or 12 months. Outsourcing Package – A surprisingly cost-effective solution where we become your in-house recruitment team saving you time and hassle whilst reducing your overall recruitment spend. In addition to the above packages, we also offer our premium Video Interviewing Selection Tool to clients that work with us on an exclusive basis. C2 "Talent-View" technology saves you considerable time by showcasing the very best candidates in the Retail, Hospitality and Leisure market. Shortlisted candidates will be asked the 3-5 questions most important to you and then their responses will be sent to you in the form of a video interview along with their CV. This leaves you to select the candidates you would like to meet face to face, effectively skipping a stage in your interview process. 70% of candidates that take a video interview get placed! 19 days is the average time saved during the process! 98% of clients said viewing a video shortlist was their preferred way of reviewing candidates! To find out more about our specialist packages and our premium "Talent-View" Candidate Selection Tool, please call 01743 770280 and speak to our Retail, Hospitality or Leisure team today.